The next season will start the Kursaal Eszena 22 and the 23 February with "Magical "Mozart flute, Opus production Lirica, the first of two operas protagonists of this season. "The Magic Flute" is one of the most famous operas in the history of music and shows a combination of traditional Viennese dramatized story and the scenic rite in which the humanist ideals of the Enlightenment are represented. further, for him 24 February Opus Lirica has designed a shortened version of "The Magic Flute" with piano for younger audiences. He 29 of June will be the second opera, una cita imprescindible dentro de esta temporada. It is lyrical gem "Mendi Mendiyan", one of the great compositions of José María Usandizaga, in which Calixto Bieito again face the challenge to stage a great work of a Basque premier author. La producción se estrenará en el Teatro Arriaga y a continuación se presentará en el Kursaal. The start of payment of classical music will be the 26 February, with La Cetra Barockorchester Basel and soprano Patricia Petibon, we will guide you through a fascinating journey between the Old and the New World, through a selection of well-known arias and musical curiosities of the seventeenth century. They will perform arias in which the old continent represent what French baroque melodies, English and Spanish, and the New World is embodied in popular songs of Latin America, Patricia Petibon rescues from oblivion. Another major events of the season will be the 7 of March, the interpretation of "3rd Symphony" Mahler in which the composer expressed his great love for nature and will be performed by the youth orchestra Gustav Mahler Youth Orchestra. He 7 of April, Concertgebouw Chamber Orchestra will offer an original program that will be heard works from the classicism of Mozart concert to Webern, one of the greatest exponents of the Second Viennese School. 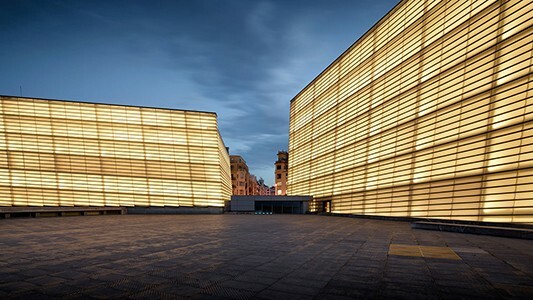 The Academy for Ancient Music Berlin will perform at the Kursaal 25 of May. The Berlin Chamber Orchestra will perform one of the most popular pieces of Baroque repertoire, the "Water Music" by Handel, along with other works by Marais, Delalande telemann and inspired by the same liquid element.